Some time in the eighties, I was in North London at a book launch event organized by the Ham and High newspaper, where two other writers, Ruth Rendell and Bamber Gascoigne, had to contend with a performance from Michael Palin. As far as audience response was concerned, neither Rendell nor the TV quizmaster stood a chance. I am not sure if it was a Python monologue or one Palin created specially for the occasion, but he described the sedentary and essentially undramatic life of a writer in terms of a horse race. Even the pauses, the scratching of the head, the stuttering typing received the attention of a commentator in a state of high excitement, until Palin reached the finishing straight in a great rush of gabbled words. Since then, Michael Palin has made himself a favourite of armchair travellers, with a run of expensively-mounted TV series of adventures around the world and back again. Palin is good with people. He has an ability to exude naturalness and good humour. At times, you even forget it’s a set-up. A film crew is there. Chance encounters are rehearsed. You find yourself in the same agreeable company in The Truth. Palin has selected a fifty-six-year-old writer, Keith Mabbut, as his hesitant hero – a man whose writing career is unfulfilled and whose family life is in a bit of a mess. After two years, living apart, his Polish wife Krystnya has decided she wants adivorce. She has found another man, ‘Tyranosaurus’ Rex Naismith, someone Mabbut can’t even begin to dislike. Torschlusspanik! He is offered a spectacular advance, £180,000, and six months to complete the job. The catch is his subject. Hamish Melville, The Action Man of the Environmental Movement, is notoriously uncommunicative with the media. So far, so good. A bit old-fashioned. Good descriptions – from a beetle crawling along a window ledge not quite to the beautiful plumage of the Norwegian blue parrot, but certainly to the Malabar Pined Hornbill, with its yellow beak, blue black and white tail. 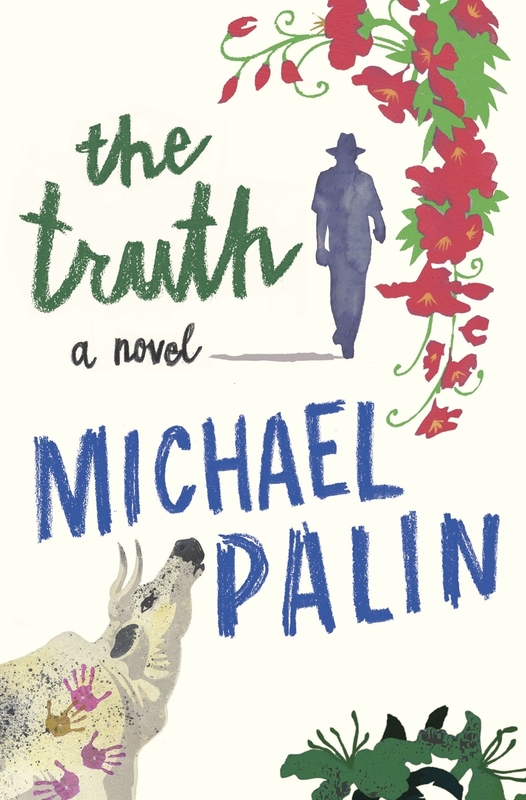 As a job well done begins to infuse Mabbut with a restored sense of self, a conviction that happiness may not be simply the postponement of unhappiness, Palin pulls the carpet of security from beneath his character’s feet. How Mabbut copes with treachery and manipulation is the focus of the last third of the book and is headed loosely, Everything Else. Will Keith Mabbut succumb to publisher pressure, will he compromise the trust of his ‘living legend’ subject? Will everything turn out all right in the end, but not quite as you imagined it? I think you know. Michael Palin, CBE, 68, is a family man who has been more industrious and successful in his lifetime than most of us dream of being. He is sincere about environmental causes and has supported the Dongria Kondh tribe of India in their fight against a mining company that threatens to destroy the land they have lived on for centuries. Palin’s heart is in the right place. His new series on Brazil will appear on our television screens in the autumn. Before that, you may choose to have the pleasure of his company on your own, less intrepid holiday, in the knowledge that The Truth will not keep you awake too long, but will provide solid, reassuring entertainment on the beach lounger or in your comfortable hotel.